FSJW 2017 PHOTOS--more coming soon! 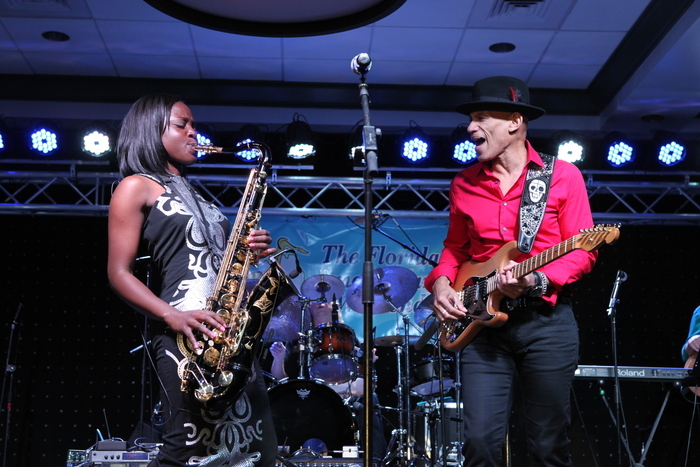 Nick Colionne leads Part I of the Final Jam at The Florida Smooth Jazz Weekend 1/31/15 with Mindi Abair, Rick Braun, Jackiem Joyner, and Peter White. Rick Braun performs "Back to Back" featuring Ron Reinhardt at The Florida Smooth Jazz Weekend 1/31/15 in Melbourne, Florida. Rick Braun and Randy Jacobs pay tribute to late guitarist Jeff Golub by performing "Philadelphia" at The Florida Smooth Jazz Weekend 2015.